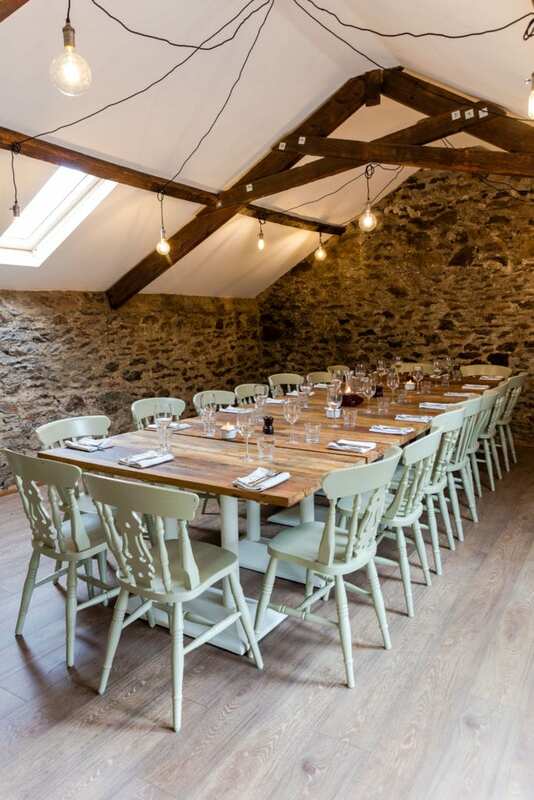 The Carew Arms has the perfect space for holding Christmas parties, The Loft, able to seat 20 for dinner or a stand-up canapé drinks reception for 35. 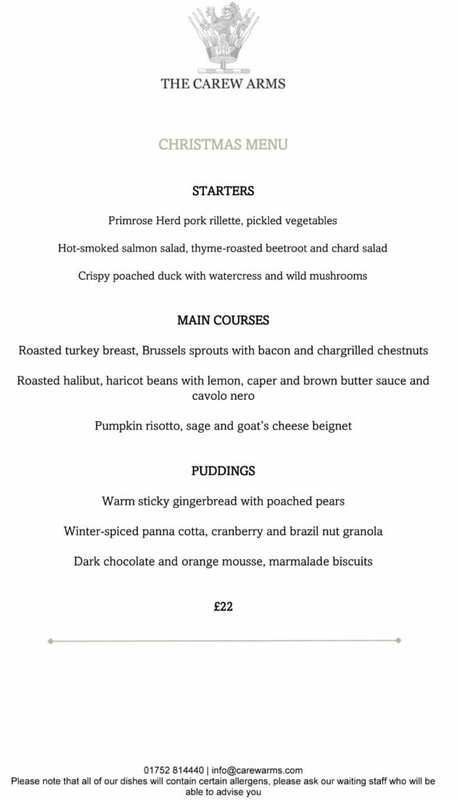 Our three-course menu for £22 is one of the best value in the area. The Loft private dining room at The Carew Arms. We do need to take a £200 deposit if you would like to take the whole of The Loft, alternatively we need a £10 per person deposit to book a shared Christmas party with the rest of the pub. Menu selections are required five days ahead of your booking. For New Year we are having a gastronomic feast, with a four-course menu for £38.50 per person, you will need to book in advance as we are already getting busy. We will also be open to 2am so you can see the New Year in in style. Copyright 2017 Antony Hospitality Holdings. All rights reserved.